As the countdown for G20 summit underway, the ground work is already in progress. 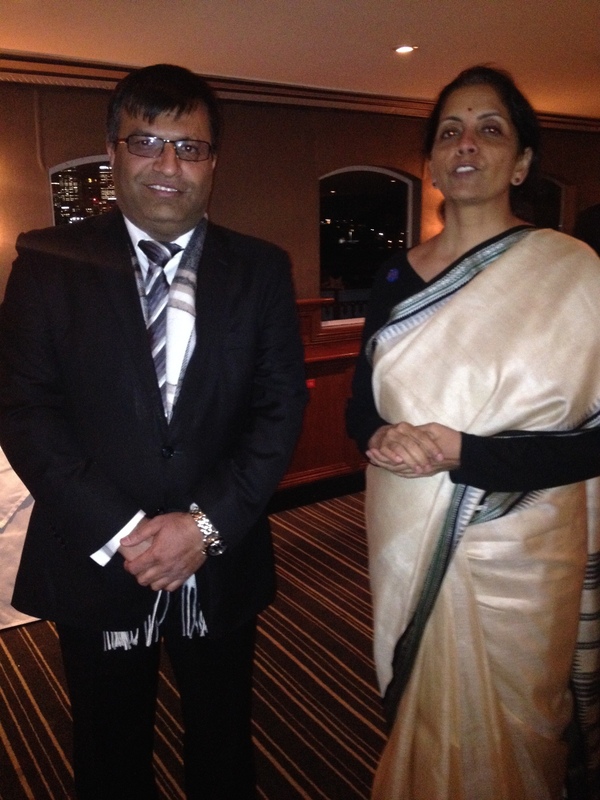 As part of this endeavour India’s Minister of Commerce and Industry, Smt Nirmala Sitaraman visited Australia for consultation among ministers holding trade portfolios of participating countries. In the continued engagements with OFBJP, OFBJP Convenor Shri Rahul Jethi met with the honourable minister in an informal dinner meeting in Sydney. She was pleased to learn about the efforts of the earnest OFBJP members and conveyed her wishes for a bright and progressive future of OFBJP Australia. OFBJP Australia would like to express thanks to the honourable minister for removing time despite her packed schedule and meeting with OFBJP. It is gestures of encouragement like these which consistently motivates workers of OFBJP to work harder towards serving the Indian community in Australia.